Home Lifestyle WATCH: So Much for the Beautiful Game – Sunday League Brazilian Style! 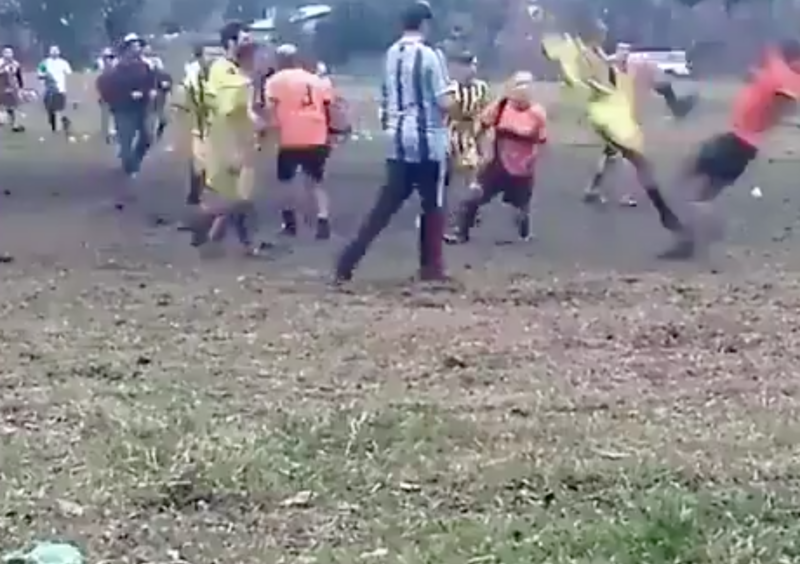 WATCH: So Much for the Beautiful Game – Sunday League Brazilian Style! So you thought the aggro in your Sunday League football was bad? Check out this tweet from a Brazilian game. The pitch looks like it’s on a hillside, the tackles are ferocious and where’s the ref??? Next articleOver the Top Tackle? Striker Gets it in the Neck!